A couple weeks ago, we went fishing at Lake Cuyamaca in east San Diego county in Julian. Lake Cuyamaca is surrounded by the 26,000 acre Cuyamaca Rancho State Park. 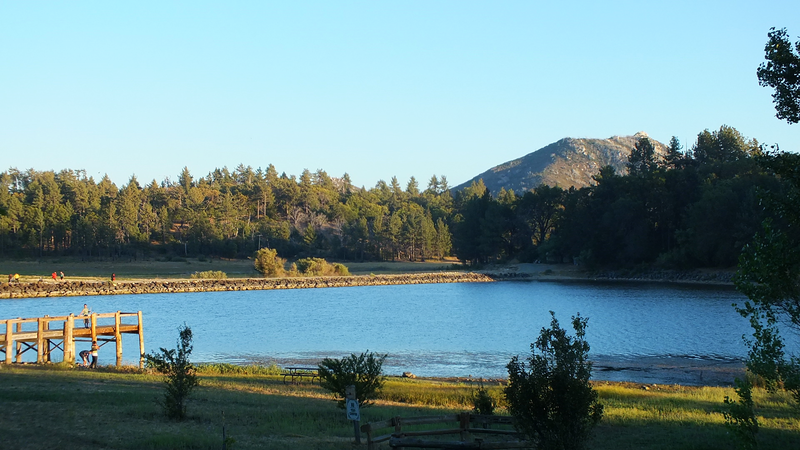 Lake Cuyamaca is a 110 acre lake that offers fishing, boating, camping, duck hunting, bird watching, picnicking, and special event hosting. We had a great time and even caught some Trout and Blue Gill! i love that place. Thank you for reminding me about it!